Tickets are now available for the 2019 Rev. 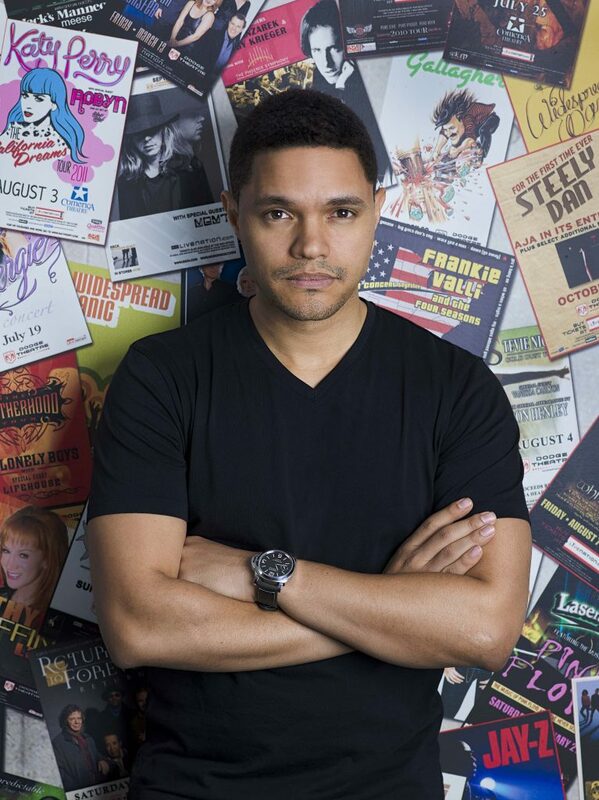 Dr. Martin Luther King Jr. Celebration—featuring comedian and author Trevor Noah, host of the Emmy- and Peabody Award-winning “The Daily Show”—on Sunday, Jan. 27, 2019, in the Dome. This year’s theme for the MLK Celebration, the nation’s largest university-sponsored celebration of Dr. King’s life and legacy, is “The Global Impact of Civil Rights.” Noah will take part in an on-stage conversation about his acclaimed memoir, “Born a Crime: Stories from a South African Childhood” (Random House, 2016), reflecting on Dr. King and discussing the global impact of the civil rights movement. The 34th annual event—presented in collaboration with the University Lectures series and the Syracuse Reads program—also includes a dinner; performances by students and Central New York community members; and presentation of the Unsung Hero Awards, recognizing local community members who have championed the rights of those in need. Dinner will take place from 5 to 6:30 p.m. near the Dome’s west end zone, followed by the main program from 7 to 8:30 p.m. at the east side. Tickets are available online, in person at the Dome Box Office (Monday through Friday, 8:30 a.m. to 4:30 p.m.) and by phone (888-DOME-TIX or 315.443.2121, option “zero”). After Jan. 14, 2019, student tickets for the dinner and program may also be obtained with the option of one meal deduction or $15 SUpercard Food at all dining centers and Schine Dining. Noah’s “Born a Crime” is the selected book for the 2018-19 Syracuse Reads program, a shared reading initiative coordinated by the Provost’s Office that is part of the First-Year Experience for all new SU students. The University provided more than 3,900 special softcover copies and e-copies of the book to these incoming first-year and transfer students in June. Free copies of “Born a Crime” were also made available through the SU Bookstore to other current students, as well as SU faculty and staff with a valid SUID. The new students were instructed to read “Born a Crime” over the summer. After their arrival on campus for the fall semester, they have participated in a series of five-week discussion sessions—co-led by a student peer facilitator and a faculty, staff or graduate student lead facilitator—intended to enhance the students’ understanding of the topics addressed in the book and engage them in broader contexts about identity, resiliency, inclusion and community. The book will also be utilized for “CNY Reads”—one of the largest “one book, one community” programs in New York state—from January through March 2019. By encouraging Central New York residents to read the same book and engage in experiences related to the subject matter of the book, the 2019 CNY Reads program seeks to cultivate a culture of community building and programing while celebrating the written word. The MLK Celebration offers all who have read the book—and who will read the book—a special opportunity to see and hear the author live and in person. For more information on Noah and the Syracuse Reads program, see the MLK Celebration speaker announcement. To learn more about the MLK Celebration, visit mlk.syr.edu.